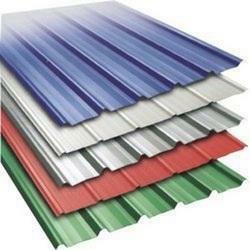 We offer UPVC Roofing Sheet. Matching up with the ever increasing requirements of the customers, our company is engaged in providing FRP Corrugated Sheet. Enriched with years of experience in the industry, we are engaged in offering FRP Roofing Sheet. - Heat insulation up to 40%. - Excellent sound insulating properties. - Fire retardant - Non-combustible material conforms to international fire safety standards. Self-extinguishing does not propagate fire. 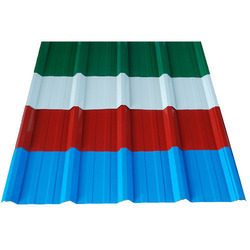 Our range of UPVC Roof Sheet are available in various shapes, sizes, designs, colours or can be customized and are capable of serving the diverse needs of our clients. These tiles are strong, durable and resistant to weather adversaries.